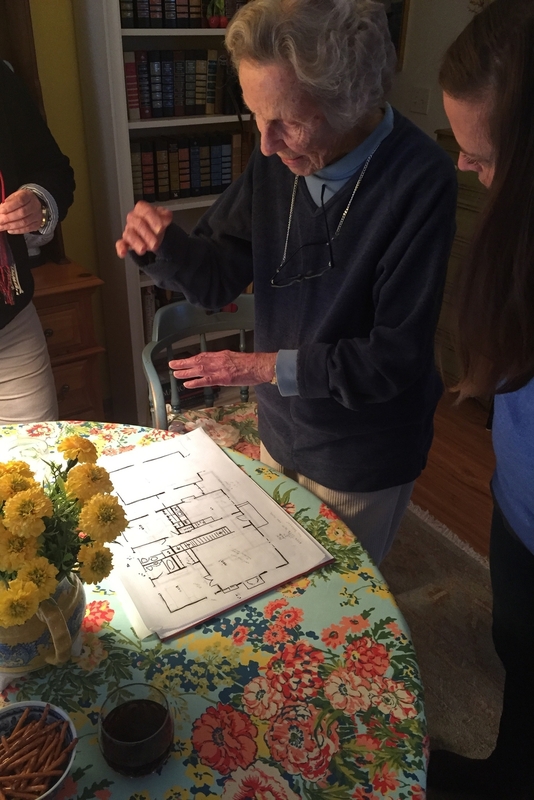 Nearly 102, and designing a new home. 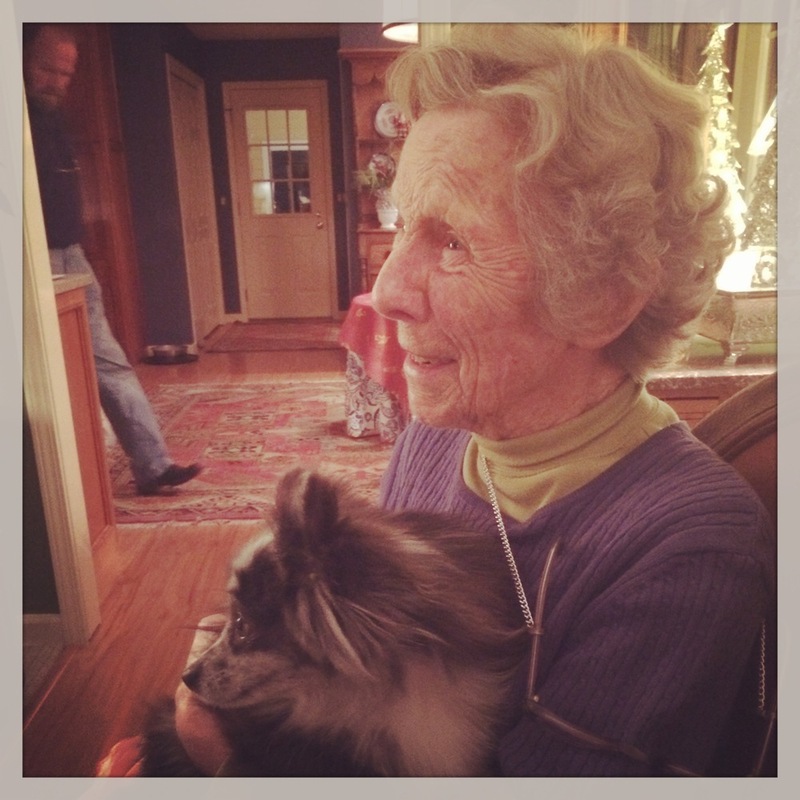 You simply won't believe what my grandmother, Janie is up to now. For anyone who read my last blog post about Janie, you might understand why I feel partially responsible for this. Perhaps going down memory lane about all of the houses built/rehabbed/redecorated started this ball rolling in her mind. She claims it had nothing to do with it, but I find that a little hard to believe. 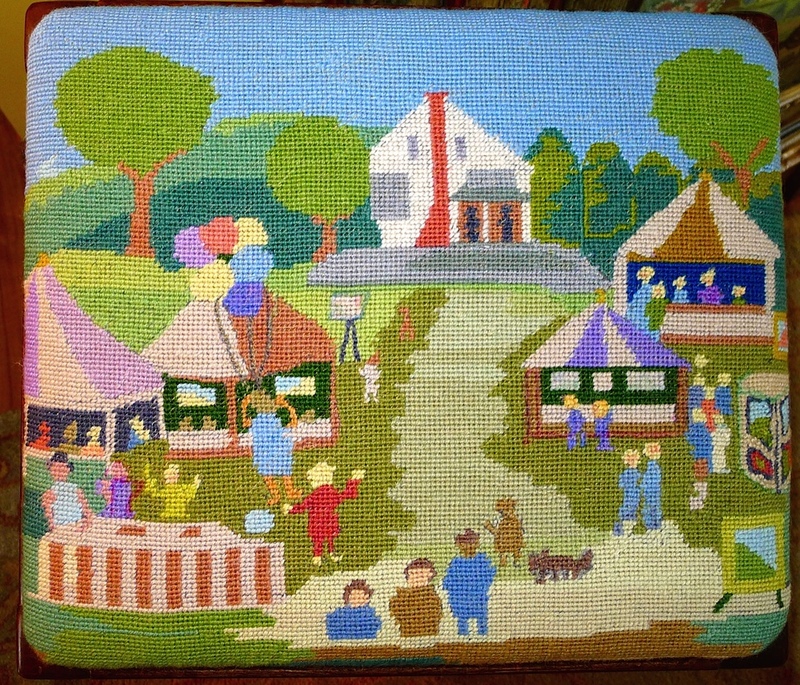 You see, Janie was all set with her major winter project, it was a real beaut, and literally the largest needlepoint I'd ever seen. She designed this herself based on the Leland Artists Market at the Old Art Building. This was surely enough to keep her busy. Seeing as how I've only completed on measly needlepoint myself, I couldn't possibly imagine taking this on. 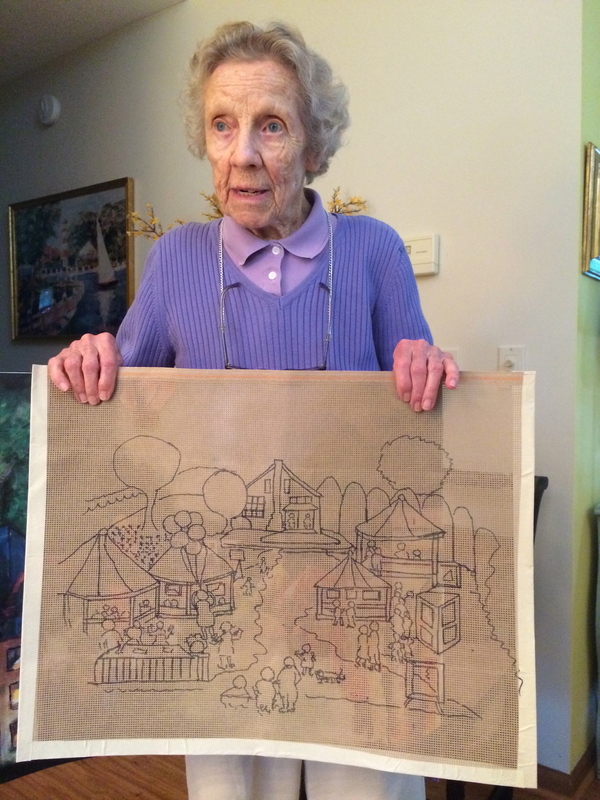 Every year, she picks one local organization that she would like to create a project for to auction or raffle, and this year the Old Art Building wins, and I mean big time. This building has a lot of special meaning for us, since it is what brought our family to Leland. It used to house the summer Michigan State Art Extension, which is why my mother came to Leland in the first place. However, as most of you know, it was a looooooong winter in Michigan, and this was not enough to keep her little mind busy. A little over a decade ago, Janie announced that she was done traveling. She'd seen too many friends push the limits, and she was staying put, and that was that. While most of the town clears out in the frigid months, Janie stays put reading the Wall Street Journal, reading biographies, and needle pointing nestled in her house with her dog, Dolly at her side. No less than 48 hours after my parents left town to head south and Janie was truly on her own in January, she made the call to let them know she had a new idea. I know what most of you are thinking. Surely she's just having fun making the design, she's not building a new home? Yes, indeed she is. She'd already called a realtor, and started drawing up her own plans. When nothing in town worked out, she and my parents decided the best spot for the house was in their front yard (which was once her front yard). On a trip in March up to see her, she was like a teenager showing us her plans and ideas, 100% drawn and created by her. She'd used her age and charm to call up Bob Biggs, and said if he wanted the job, he had to start soon because she didn't have all the time in the world. 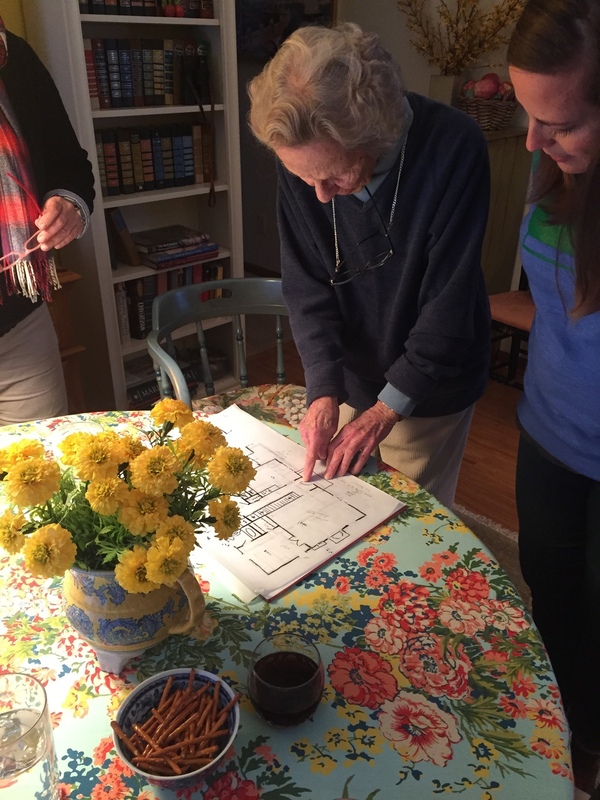 As it stands right now, the house is totally staked out, and as soon as the ground is fully thawed, she will be breaking ground on her new home just before her 102nd birthday in June. Again, the importance of always having a project shows through and through about maintaining a healthy happy life. It's also an inspiration of getting to work instead of feeling alone or sorry for yourself. 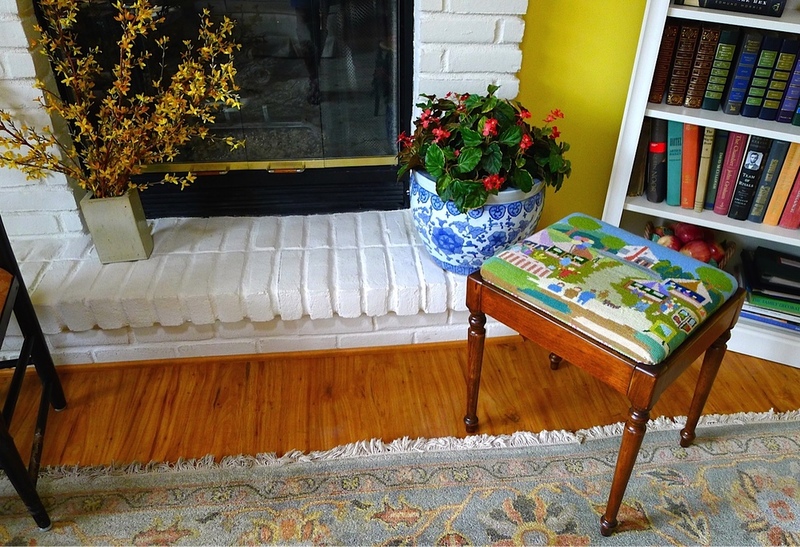 As far as the needlepoint is concerned, she finished the major project, and even had time for one more! She was "tickled to pieces" (her words, not mine), when she found this perfect stool to house it at Jaffe's in Lake Leelanau, is it not gorgeous? If you ever need anything like this made, but don't know how, most definitely email Jennifer Skinner! 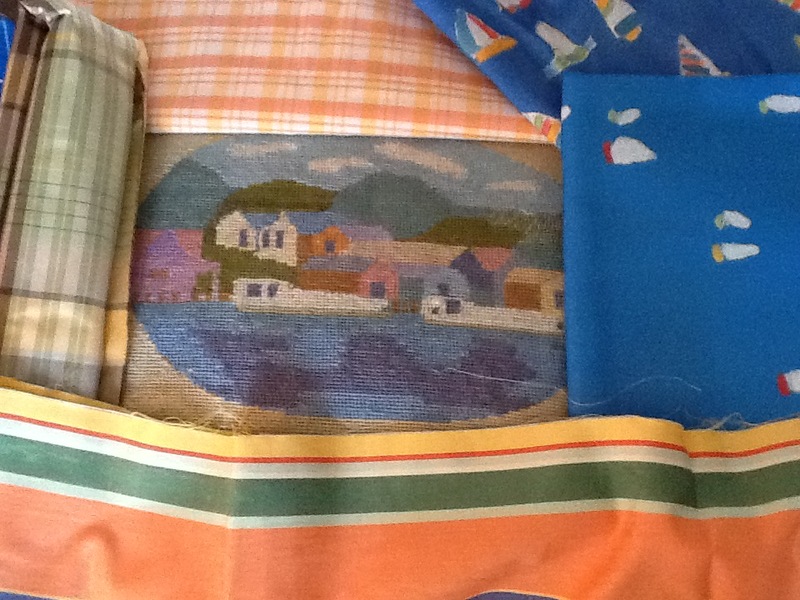 She's right in Cedar and can make headboards, valances, seat covers, pillows, and more! She has an amazing studio right in her home. Jennifer has been a huge part of Leland gal starting, and continues to partner with us on many projects! Jennifereskinner@gmail.com. In the meantime, I will certainly post pictures in progress of the house this summer as we all watch this next fun chapter unfold. Your grandmother is an inspiration! Great story. Your grandma continues to be an inspiration. Thanks for sharing ! Jane has always been an inspiration to me. I marvel as she walks her darling dog in our neighborhood all winter long. May we all age with half as much stamina, grace, and panache! God bless Janie! I want to be just like her when I grow up!